Egypt – «Pearl of the Orient». The country of ancient civilization, blessed land, where all years brings bright sunshine and the sea is always warm and transparent. Here you can see the ancient pyramids and the Sphinx, golden treasures of Tutankhamen and the majestic temples of Luxor. 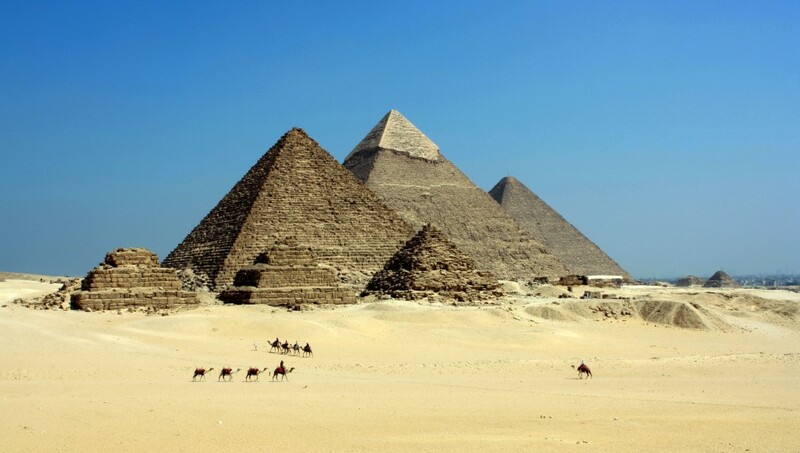 On this land, the country which is now called the Arab Republic of Egypt, in ancient times there was one of the most powerful and mysterious civilizations that are for centuries and millennia as a magnet attracted the attention of contemporaries. At a time when Europe and America is still dominated, era of the Stone Age and primitive hunters, the ancient Egyptian engineers built irrigation works along the Great Nile, ancient Egyptian mathematics calculates a square base and an angle of inclination of the Great Pyramids, the ancient Egyptian architects built grandiose temples, whose greatness is not able to diminish the time. 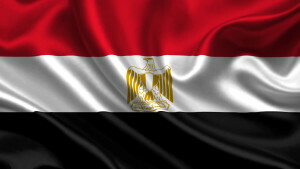 Today Egypt is the largest Arab country, situated in the northeast of Africa. Part of its territory — the Sinai — is in Asia. The border between the two continents passes through the Suez Canal. 96% of Egypt, it is more than a million square kilometers, is a desert with a few oases, and a significant part of the desert is not sandy and mountainous. The rest are the valley and delta of the Nile, where still lives 90 percent of the population, 65 millionth of the country. The ancient Greek historian Herodotus said that «Egypt is the gift of the Nile.» The valley of the river stretches for thousand kilometers from the south to the border with Sudan to the north, to the Mediterranean coast, separating the eastern Arabian desert from the west, the Libyan. The width of the «band of life» along the Nile varies from one kilometer to the south to 20-25 km in the district of Cairo. Desert itself leaves a long-lasting impression: sand dunes, countless shades of color — from yellow to purple, whose name is only in the language of the nomads. Egypt is an extremely hospitable country. Guests are always welcomed with open heart. You can ask with interest about family, work, about your impressions of Egypt. Also can warmly invite you to visit their homes, even for a cup of tea. Millions of travelers visit Egypt. Many people come here again and again. The most famous of them left us his travel notes with a fascinating description of the country on the Nile: the mathematician Euclid, the geographer Strabo, writers Gustave Flaubert and Agatha Christie, Lawrence Durrell and Edward Morgan Forster. Even the conquerors did not remain indifferent to the beauty of this country. Alexander the Great gave his Alexandria; Napoleon, archaeologists have discovered ancient Egypt, during the campaign addressed himself anxiously to his troops with the words: «Soldiers, forty centuries look down upon you from the height of these pyramids. Egypt is open for recreation and travel throughout the year. 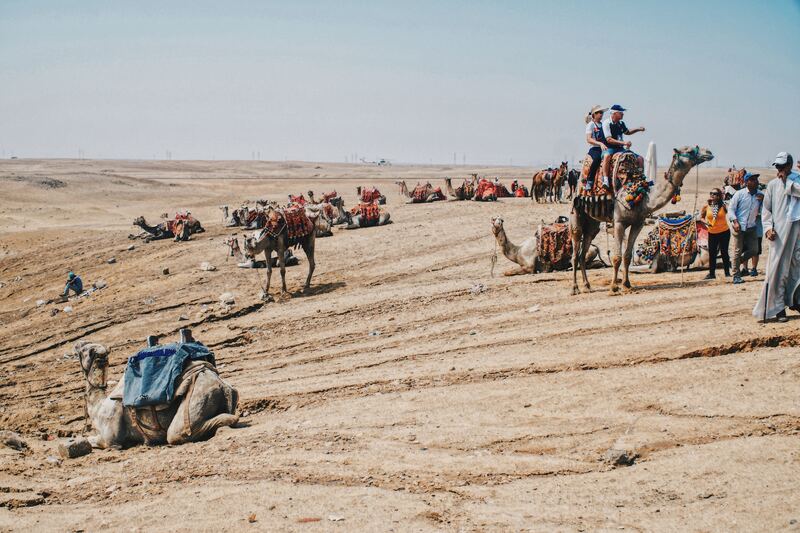 In Upper Egypt, well known as the resorts of the Red Sea, the summers are hot and dry, and in the Delta and along the Mediterranean coast are wet. 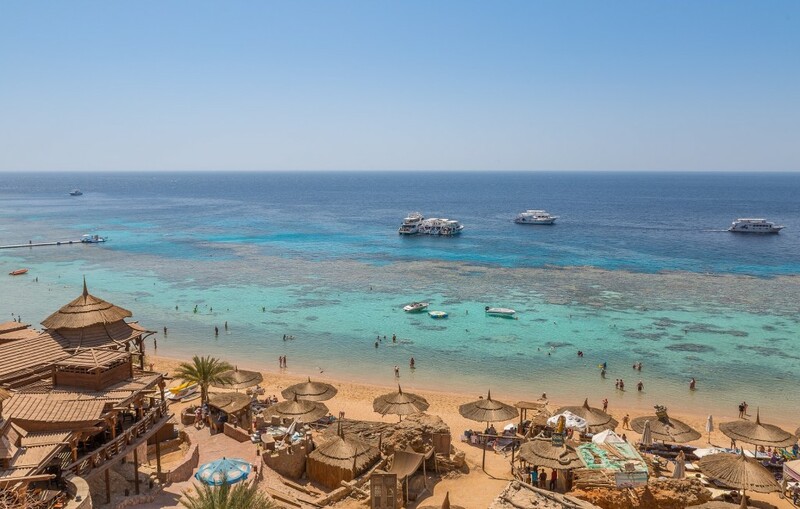 The air temperature on the Red Sea resorts in Cairo from May to September reaches 35-40 degrees, the water temperature in the Red Sea during this period is usually 26-28 degrees. Due to the specifics of the climate characteristics of Hurghada summer heat is much easier there because of the constant sea breeze, and the flow of tourists do not diminished neither winter nor summer. Best time for vacation at Mediterranean resorts is from May to September. Spring and autumn are very short. Within 50 days (Khamsin) between March and mid-May occasionally occur sandstorms. Winter in Egypt is mild, with warm sunny days and cold nights sometimes. From December to February in the Red Sea resorts temperature is usually not lower than 23-25 ​​degrees, water — 20-22 degrees. The air temperature in winter Cairo ranges from 17 to 20 degrees.